Sometimes I embrace change and other times, not so much. The “not so much” particularly applies to electronic books. I really prefer ink-on-paper books, and that’s that. I love the feel, the heft, the look, the smell…okay, I’m getting all warm-and-fuzzy about it, but it’s true: I really love physical books. That includes the paper, cover, font…oops, there I go again. I don’t own a dedicated device for reading ebooks. I know lots of people who do, and I understand they like them just fine and find them useful and convenient. Maybe I’ll get one sometime. What I do have is the application Kindle For Mac on my desktop and laptop computers. With that, I have the ability to read ebooks. So, here and there, I’ve picked up about 60 free, 99 cent, and a few 2.99 books (novels, short story collections and some novelettes) and a couple of e-periodicals. Perhaps the most difficult to resist are the inexpensive bundles, or Megapacks. Yes, I bought some. They’re terrific bargains, and when the day comes that I have an iPad, tablet or some type of e-reader, they’ll provide reading for those times a real book isn’t practical. So I have all those ebooks. Have I read any? Sure, I have. Three of them, one of which I got from the library. Did I mention you can get free ebooks from the library? You check them out just like other books. Of course, with ebooks, as with any books, it all comes down to taking the time to read what’s between the covers (and why do most ebooks have such inferior cover art? Sheesh. ), and I never seem to have enough reading time. Does anyone? This entry was posted in books and tagged ebooks. Bookmark the permalink. I have a Kindle Paperwhite with ~70 ebooks on it. But then again I have over 400 more physical copies in my personal collection.. I like my Kindle for travel. I also appreciate my Kindle for services such as Netgalley, where they offer eARCs. I’ve bought Kindle copies of books I already have because the print is just too small in the physical editions, and I like having the adjustable font of an ebook. I also send manuscripts to my Kindle and do a lot of editing on it, making notes for what I want to change in the Word file later on. But I still read and enjoy a lot of print books as well. No reason not to have the best of both worlds, I say. Richard, I have a tablet that allows me to do a lot of things like making phone calls, using internet, playing chess and scrabble, listening to music, and watching videos and movies. However, I use it mainly to read ebooks in any format I like including Kindle for tablet. I find it reader friendly and an addiction. I have read more ebooks than physical books since acquiring the tablet two years ago. I attribute this to a matter of convenience. On the flipside, I have not been able to reduce my pile of paper books which I intend to do this year. Only last evening, I bought the ebook version of THE E. HOFFMANN PRICE SPICY ADVENTURE MEGAPACK and I’m looking forward to reading it. I have never read Hoffman’s fiction before. Can’tstop, I have those 60+ ebooks, but I have 3 or 4 thousand physical books here, so I’ll not have more ebooks than the other any time. I suppose I’ll get a tablet reader of some kind one of these days. James, when I was having eye troubles last year, I read an ebook so I could enlarge the print, and it worked (I did it on my laptop). I didn’t know you could send manuscripts to a Kindle. I didn’t know any files could be sent to a Kindle. I guess I have a lot to learn. Prashant, I knew you had a tablet, but not that you used it that much. Addictive, eh? I’d better be careful. A lot of the books I read, such as the old short story collection of Saint stories I’m reading now, aren’t in ebook, and tat’s okay, I do love physical books. Funny you should have just gotten that ebook pack, when I pulled that image at random. I’ve got a few of those megapacks but they are almost too much of a good thing. Man the amount of reading available is overwhelming. Like James, I like large fonts on my iPad. I’ve downloaded over a 100 ebooks (most of them free). I prefer Real Books, but more and more out-of-print books are showing up online in ebook formats that it’s clear where the Future is headed. Eventually, everything will be available online as an ebook. The reason I wanted the Kindle in the first place was to get books that were only available in ebook format- usually short story collections – by friends and other favorite authors. I do have a few of those Megapacks – I’m reading the Randall Garrett one now, having read the Mack Reynolds collection last year – and they are certainly value for the money. I’ve also picked up (free or very cheap) some things I’ve read before, like the Complete Sherlock Holmes and the Complete Wizard of Oz series. Overall, I have close to 400 books and stories on the Kindle at the moment. 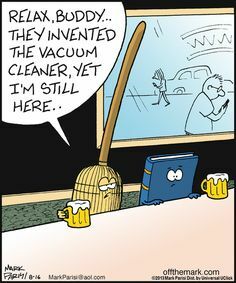 Like you, I still prefer a “real” book to an ebook hands down, but they certainly have their uses. Oh, and the library thing. Our library does have a lot of ebooks and occasionally Jackie wants to read a book in a favorite series that is only available (for some inexplicable reason) as an ebook. We haven’t borrowed one as yet – haven’t figured out the procedure – but probably will in the future. As for embracing the new, even though I am on record as hating change in general, there are exceptions. We were among the first to get a VCR back in the very early 1980s and embraced the DVR as soon as we could get one. From the beginning I knew I would get a Kindle because, as mentioned above, there were things I wanted that were just not available anywhere else. It is very useful for travel, especially on a long trip like this one, but give me a bookstore or a library with real books and I am a happy guy. I still love hard-copy books as well though. It seems to me (and this is just a general observation with nothing really to back it up) that most of the people who like e-books still like and read print books as well. I certainly do. But there are some readers of print books who really, really, really don’t like e-books. Which is fine, of course. Everybody should read what they want to read. But I find it interesting that there seems to be a greater degree of vehemence on one side than the other. I resisted for awhile,and still much prefer and love books as physical objects, but getting an e-reader was too convenient for many reasons. 1) I’ve read handful of books by authors I hadn’t tried who were only being published electronically and I am very grateful to have discovered their fiction. 2) I don’t like spending money on a physical copy of a book that has an ugly/poorly done cover. If I can get that same ugly covered book (that I do want to read) for a couple of bucks as an ebook, then I don’t mind as much. 3) Since I like to keep my books in really good shape, it helps to have the ereader option to drag back and forth to work, etc. and finally, big huge heavy books like Brandon Sanderson’s Stormlight Archive books are a pleasure to buy, and the read on ereader instead of the print copy, because they are just too unwieldy otherwise. Charles, the lure of the megabuck/bundle thing is all the mass for small inertia (money). Yep, there is a hell of a lot of stuff to read, in any format! George, the day is drawing near when I will pick up an iPad Air 2. I hate to spend the money, but there is a lure. The very few ebooks I have read have given a satisfactory experience, especially due to the ability to enlarge the font. Jeff, when your Kindle gets full, what do you do then? That 400 sounds like a lot, and it can’t hold unlimited amounts, I’m sure. One of the things that bothers me the most about ebooks is that it seems, at least with Kindle books, there is no way to save the files in another location (computer hard drive) and move them in and out of the e-reader. Our library seems to have a variety of systems for providing ebooks, and not all of them work with a Mac. The one I checked out went right into my Kindle For Mac application and then in three weeks I got a notice it was no longer available to read. Pretty neat. I haven’t tried any other methods. Fence, I would certainly expect you to continue to be a lover of physical books. I suppose, on the train, you could look out the window… I’m guessing if I had a non-driving commute I’d want a book, so your solution makes sense. James, I know quite a few “younger persons” (15-25) who think physical books are ridiculous anachronisms and that people who own a lot of books (you, me, most of the readers of this blog) are living in the dark ages by doing so. I was one of those really, really dislikers, mainly because I saw – still see – ebooks as eating away at the physical book publishing industry, library stacks and promoting a fast is better way of approaching reading and the contemplation of content. Other side is availability of things not obtainable, or affordable, in ink-on-paper format. Carl, I understand all that, and if ALL ebooks were $0-$5 it would make it easier, but that Sanderson ebook costs $14.99, which to me is hardcover territory for what I continue to see as an electronic file that is subject to all the vagaries of such. Plus real books don’t need batteries. But your argument about trying new authors in cheap e-format is a telling one, as is the statement about big, heavy books. You’re probably right about the younger generation being more pro e-books, and even anti print books. I’m just not around them as much, so I don’t see as much of it. There is one thing I’m adamant about reading only in print, and that’s comics/graphic novels. Reading them digitally just doesn’t work for me, so I do understand why somebody might not want to read other kinds of fiction that way. It’s all a matter of what works. Regarding your question to Jeff about a Kindle getting full, I tend to delete books from mine once I’ve read them. If it’s a book I’ve bought from Amazon, it’s stored in my account there and I can download it again if I want to, but from a practical standpoint that’s not likely to happen. I know relying on something being stored on somebody else’s computer puts it at risk, but again, once I’ve read it, I’m unlikely to want to read it again. If it’s a book that I’ve sent to the Kindle (I get a lot of review books as mobi or PDF files), the file is still on my computer, so I can send it again if I need to. You can get a lot of things free or cheap if you watch e-book promotion sites like BookBub and BookGorilla. I got the first book in that Brandon Sanderson series Carl mentions either free or for .99, I don’t remember. If I ever get around to reading it (it’s enormous!) and like it, I’ll be much more likely to buy the others. Not true. I have all the books available on the two computers (desktop and laptop), the two Kindles and my smart phone. When I read a book I am not going to read again I just hit “remove from device” and eliminate it. I just checked on Amazon and it says “holds thousands (my emphasis) of books” on the Kindle. I see James beat me to the answer about deleting books. Of the 380+ books I have almost all of them cost me between nothing and $3.99. Very few cost more than that. In general, first I will look to see if a book I want is available in the library (if I just want it to read) or from PaperBackSwap.com. If not I will check Amazon. I also buy “real” books through ABE. OK, there is a book Jackie just read that was the third book in a trilogy that left things open-ended. She discovered on the author’s website that she decided not to continue the series because she lost interest in it (gee, thanks, author) but when the series was reprinted last year (so, she wants the added revenue from fans but isn’t interested enough to continue it) she added an epilogue to book three briefly wrapping it up. I put the electronic copy (which wasn’t currently available) on hold for her and they will send her an email when it is available. If this works out we’ll try it with future books. 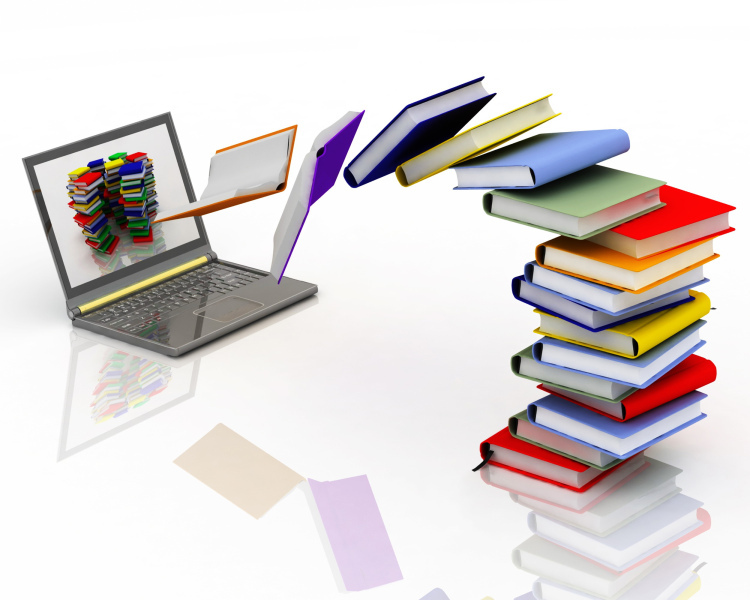 Our public library is offering an EBOOK WORKSHOP in a few weeks. We’re supposed to bring our iPads (or Kindles or Nooks, etc.) and the workshop techs will show us how to download books from the Library. But I’m buying books at a furious rate. My big problem is finding time to read them! Jeff, but they are not files, such as text files, photo files, spreadsheet files, etc. that you cn have on the hard drive of your computer, and save separate from the Kindle application, right? George, that’s a workshop I’d attend. If you’re worried about saving books to your computer, or possibly changing format over the year you can use a bit of free software, called Calibre, to strip the DRM and make sure you can keep what you’ve paid for. Because Amazon, for one, don’t know about the others, can remove stuff from the “cloud”, I know a while back they got in trouble for deleting 1984 from people’s kindles due to a publishing/rights issue. fence, thanks for that, I’ll look into Calibre right away. Also, I love the cartoon! I prefer print books but you can’t beat a kindle on a trip when you don’t want to pack a slew of books. I certainly can understand that, Patti. Hope things are getting better there. fence, I DL calibre yesterday, working with it today to learn what it can do. Thank for the tip! It isn’t the easiest to use software, but if you can mess about with it it should prove useful. If you have any problems let me know and I’ll see if I can help. Thanks! All I’ve done so far is put all the .azn files (the ebooks IOW) into it. That will allow me to at least have them backed up in a second location. I’ll mess more with it when I have some time.